Rambling Mom: Stanley Home Products Review and GIVEAWAY!!! I was given the opportunity to review some cleaning products from Stanley Home Products, their Glass Cleaner Foaming Spray and Degreaser. Stanley Home has been providing quality cleaners for 70 years. They provide great products at affordable prices, as well as offer home-based jobs for Customer Representatives who want the freedom to work at home for a good company. From their site: "GrimeGuard™ provides an invisible shield to guard against accumulated dirt and repel water spot build-up. 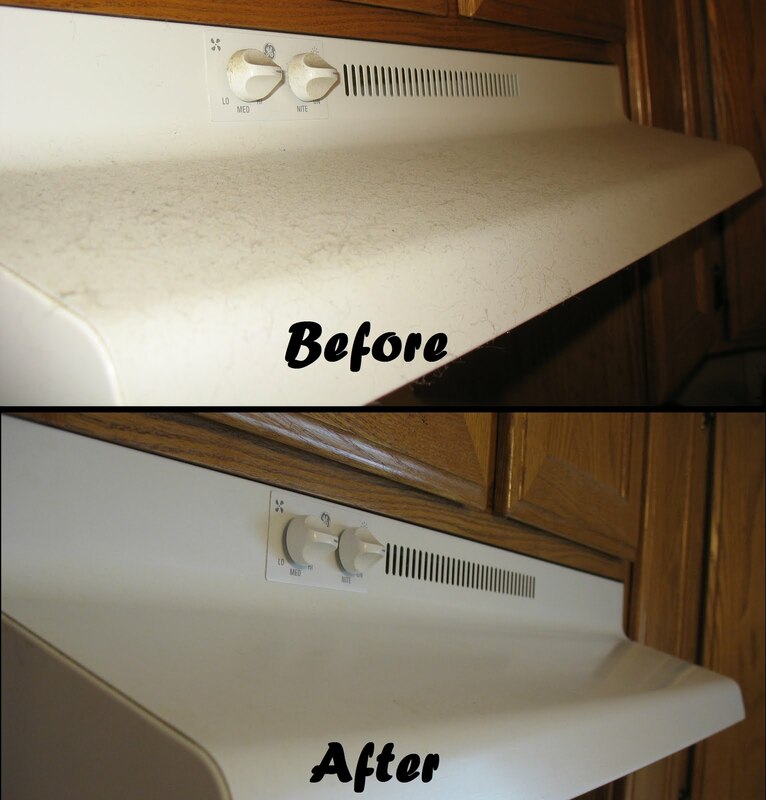 This protective shield keeps surfaces cleaner longer and makes on-going cleaning, quick, and easy. 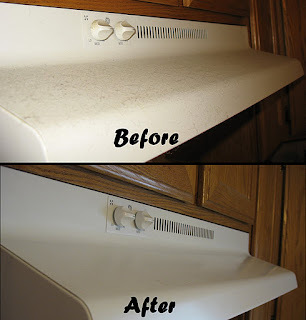 Plus, the foaming spray is non-streaking and quick drying!" I tested the glass cleaner out on my main floor bathroom. Since this is the bathroom my children use (and abuse) the most it gets pretty dirty. 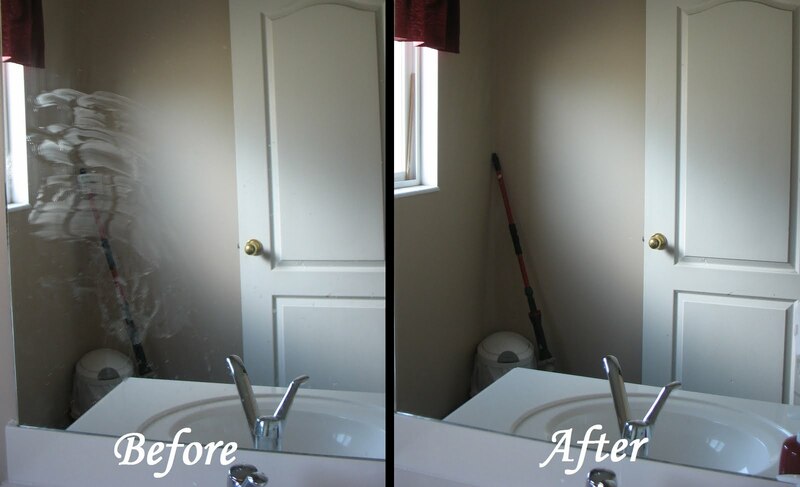 The mirror was streaked with a soapy mess and the faucet was covered in soap, fingerprints, and water spots. I sprayed on the cleaner and was amazed at how easily it wiped all of it right off. With my normal cleaner I usually need a bit more scrubbing and occasionally a reapplication of cleaner, but the Foaming Spray worked with very little effort for a spotless mirror and shiny faucet. "Concentrated to work hard: Dissolves grease in seconds on cookware, countertops, broilers, dishes, tools, and walls - wherever grease build-up is a problem." I was really excited to try out the degreaser. From working fast-food years ago I know how important a good degreaser is. I knew exactly what I was going to try it on first- my stove top. My poor stove does not get cleaned as often as it should, and so it had quite the buildup of caked on food and grease. I even decided I should tackle the stove hood while I was at it. I hate the greasy dust that builds up on that thing. So I took off the burner spider cover things (hm, wonder what they are actually called?) and soaked them in some of the degreaser and hot water. Then I put a few tsps of Degreaser in a bowl of hot water and wiped down the whole stove top with it then let it sit for 5 minutes, or it was supposed to be 5 minutes but the babies woke up and needed fed and eventually I got back to my stove about an hour later lol. Once I got some fresh hot water and degreaser I took my sponge and wiped down the hood. Now typically when I clean the hood it take a lot of work and frustration. But this time most of the greasy dust came right up, then I just had to go over it a few more times to scrub the really set in stuff. The stove took a bit more work because of how dirty I'd let it get. I don't think the degreaser made the job much easier or quicker than how I normally do it with dishsoap, but it worked pretty well. And the burner covers cleaned up really well after soaking. My stove looks so much better, which is great because I have a group of ladies coming to my house to do some cooking Saturday and it would have been embarrassing for them to see it as it was. Overall, I am extremely happy with both products, especially the glass cleaner. And now for the fun part- a GIVEAWAY!!! 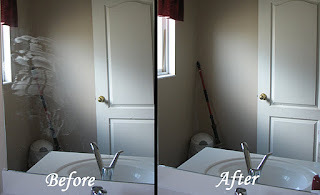 One lucky reader can win a can of the Grime Guard Glass Cleaner Foaming Spray! Simply comment below telling me what your least favorite household chore is to enter. For an extra entry, go to the Stanley Home Products website and tell me which product other than these two you could use the most. This contest will end Saturday, October 8th, 2011 at 8pm MST. Open to U.S. residents. mopping is my least favourite chore! I would like to try the de-greaser foaming spray. Looks like it would be great to use for the oven.